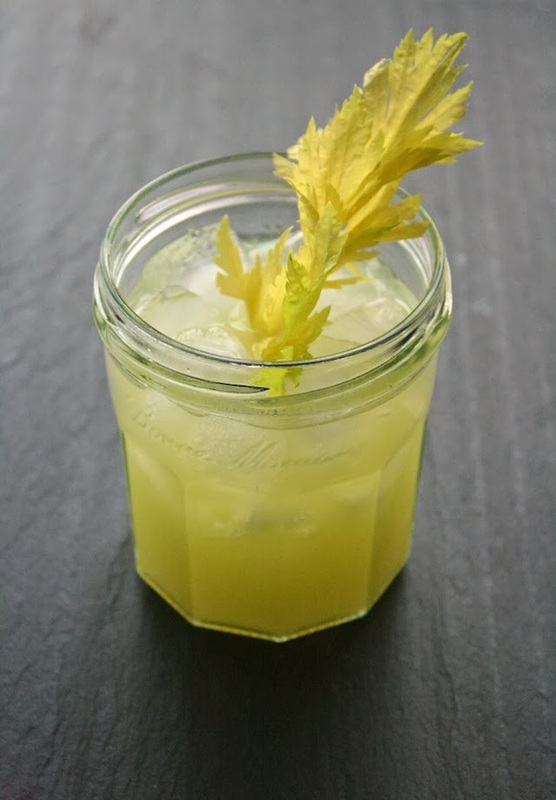 Hit The Bottle, Ladies: The Celery Gimlet—Super Refreshing & Chic! / Hey, EEP! Hit The Bottle, Ladies: The Celery Gimlet—Super Refreshing & Chic! 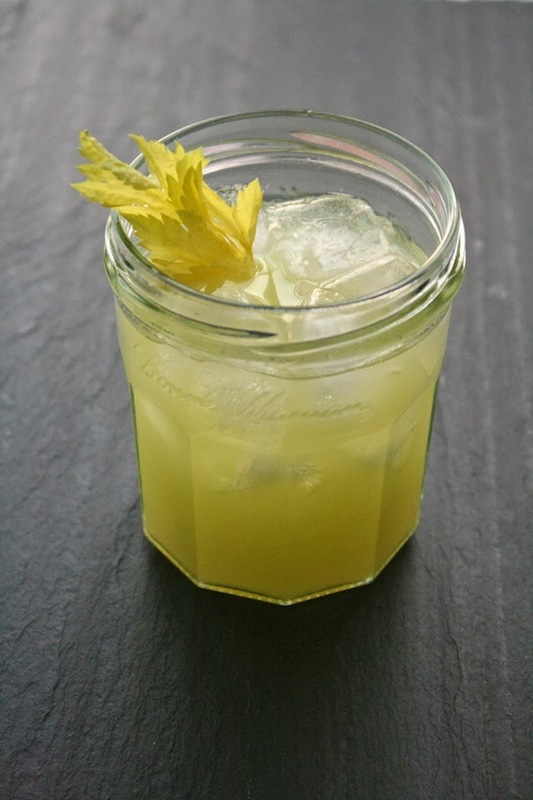 Here's something to get your Saturday night going: Celery Gimlets! Friends came over for happy hour yesterday and I whipped up this drink as an experiment. Turns out the sweet-and-slightly-savory combo of fresh celery juice, gin and elderflower liqueur makes for a highly refreshing treat! Put all ingredients in a large glass with ice; stir 1 minute or until very cold. Strain into an ice-filled glass. Garnish with celery, if desired. Can't find celery juice? Put 6 to 7 stalks celery (torn into pieces) in a blender and add enough water to get things going. Puree until smooth, then strain through a fine-mesh sieve pushing out the liquid.